Assistance from the general public has been critical to the solving of crimes in the Federation according to Deputy Commissioner of Police Hilroy Brandy. The Police for years have asked individuals in the public with information on crimes to come forward, but with the lack of proper witness protection many have been afraid to do so. 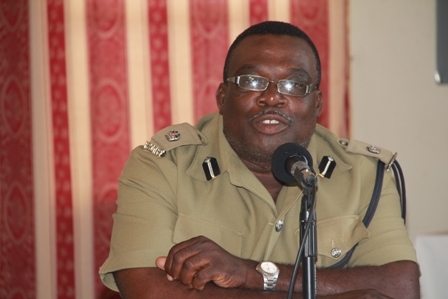 Brandy questioned on the publics assistance by the Observer at a recent National Security press conference indicated that the public has helped the police in numerous breakthroughs. The public has been quite helpful with us a few of our cases we have been able to solve just as recent as last week were from tips we received from the general public, he said. Many have however called for National Security officials to set up a proper witness protection in the Federation after many witnesses have lost their lives just before they were set to give evidence in court as well as to encourage individual with information to come forward.